Who would win in a fight? 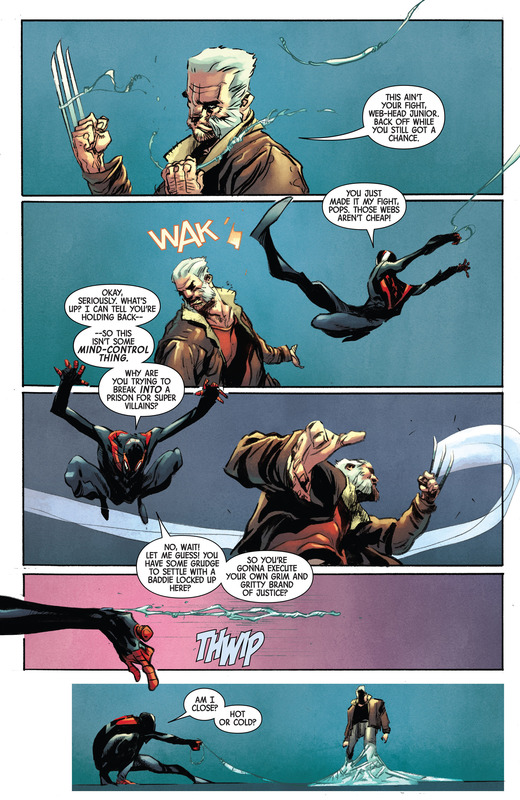 Old Man Logan or Spider-Man Miles Morales? 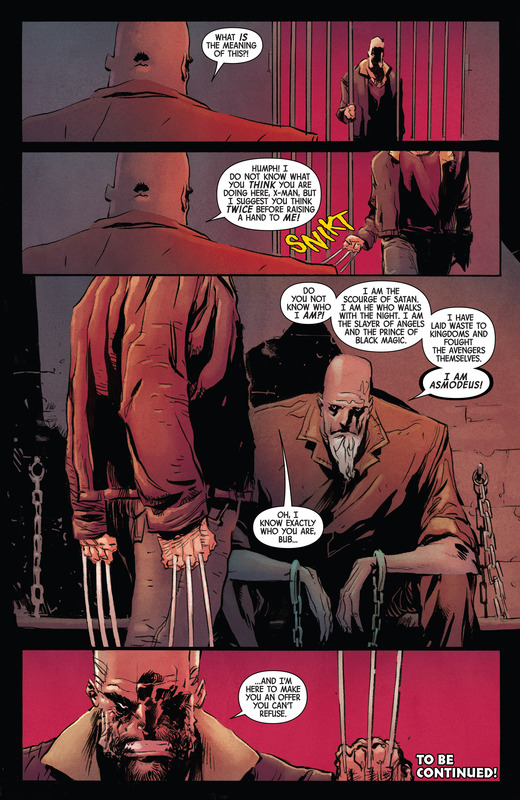 That kinda gets some traction with last week’s Old Man Logan # 19 from Jeff Lemire and Felipe Andrade. 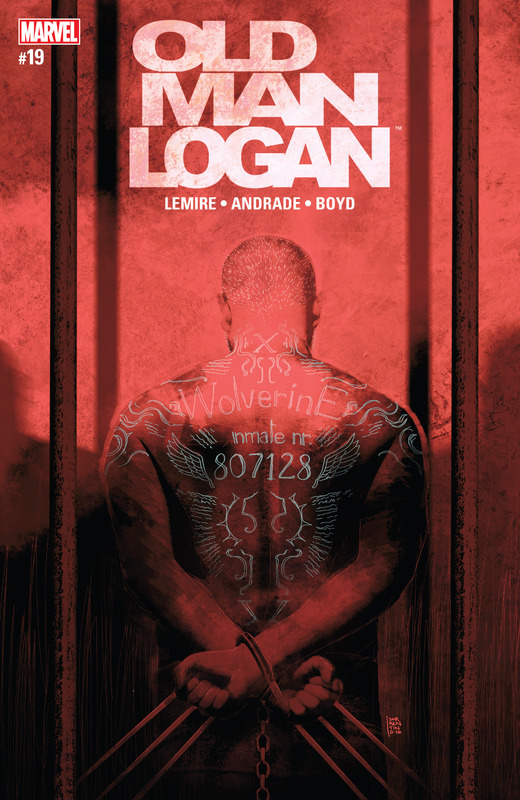 So in this issue, Logan realizes that he needs to get back to baby Hulk who he left in the Wasteland. 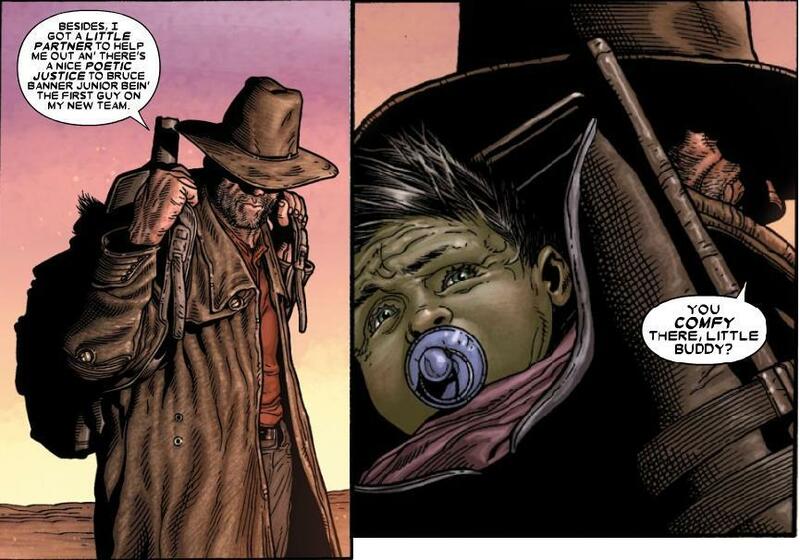 If you recall, the ending to Steve McNiven and Mark Millar’s Old Man Logan story arc had seen Logan riding to the sunset with Bruce Banner Jr. in tow. 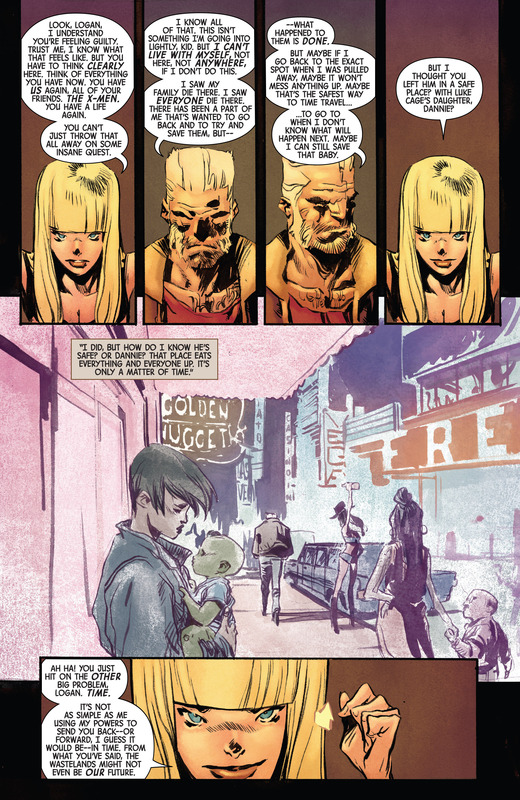 Logan tries to persuade Magik (Ilyana Rasputin) to help him get back to the Wasteland AND get back to this reality after doing the Hulk ex-fil. He gets soundly rejected. He also tries to get help from other Marvel heroes that have the means to transport him back to the Wasteland. 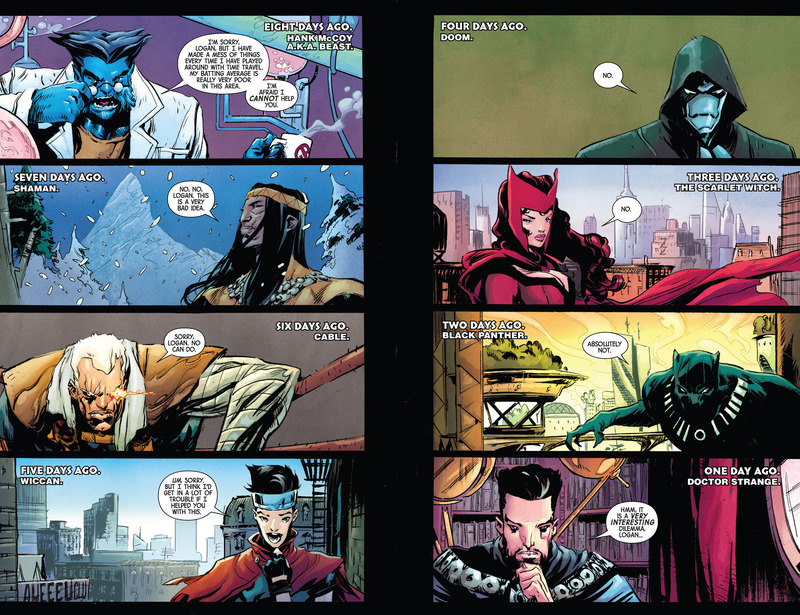 He does get some good news from Doctor Strange. 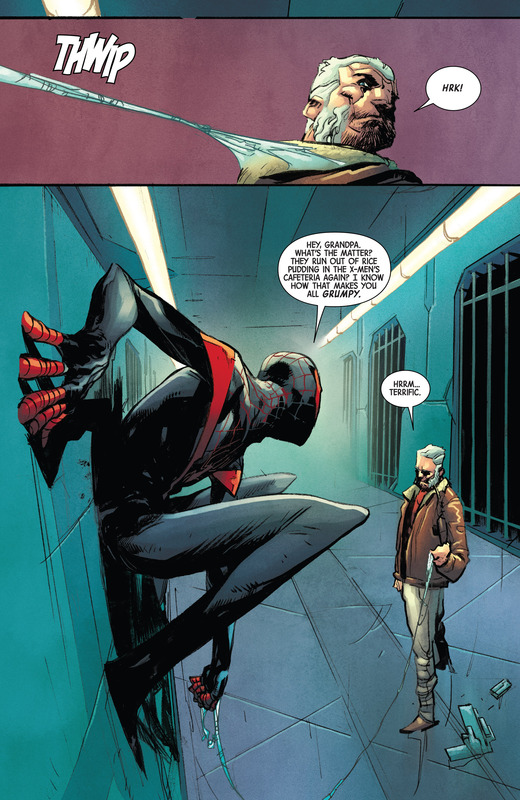 Which leads him to stage an attack in a supervillain prison and ultimately leads him to fight with Miles Morales. 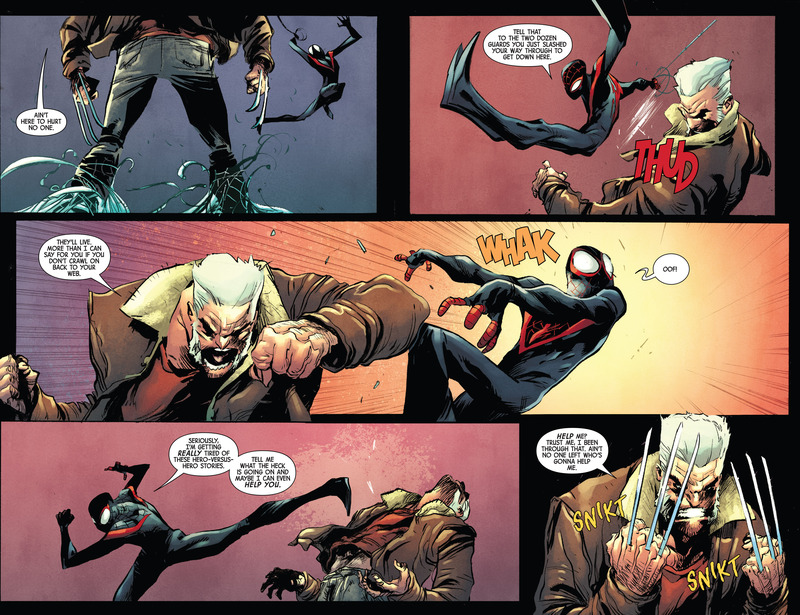 Sadly though, the fight between Old Man Logan and Spider-Man Miles Morales gets cut short with Logan doing a “low blow” by setting the other prisoners free thereby getting the distraction he needs to free one specific supervillain inmate. Wait, I can’t seem to remember who this Asmodeus fella is.